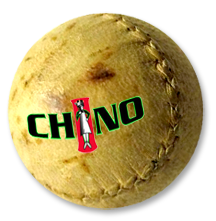 The Chino Basque Club wants all potential pilotaris to know that there are now great opportunities for both children and young adults to learn how to play in that community. Pilota/handball practices have already begun and are held on Sundays at 9am at the court at the Centro Basco. For more information contact Mike Aphessetche. If you would rather learn how to play pala, those practices will begin on April 25th at 5pm at the Aphessetche Trinquet. For more information on Pala, contact John Plaa. For more information on Pilota in Chino visit them on Facebook. The Euzko Etxea in New York has been working hard on revamping its website. If you haven't been there in a while, you should take a minute and get caught up with the club's upcoming activities, as well as check out the wonderful photo gallery. Webmasters Baraxil Bengoa and Julen Abio have been working hard on improving the site and are asking for your help. As part of the improvements they would like to create a repository of photos and videos and related to the club. If you have photos or videos that you would like to share please contact Baraxil Bengoa. The Etxepare Basque Institute has announced that the application period is now open for its International Translators grants. The goal of these is to broaden the horizons of Basque literature by recruiting foreign literature translators to learn Basque in order to eventually translate Basque works into their mother tongues. Eight grants will be awarded, four to non-Basque speakers and another four to individuals with some knowledge of Basque. Grants will allow non-Basque speakers to stay in the Basque Country for six months to acquire a certain knowledge of the language, while folks with some Basque already, will get to spend a month in the Basque Country to improve their level. For more information in English visit here. Deadline to apply is May 16.